Over an omelette breakfast a friend and I agreed that shame is a barrier to wellness. Why shame? Because shame cuts away at our sense of dignity, and wounds our identity. The shame commonly experienced around mental illness is real and I’m not sure how we totally get rid of it. But I’d like to try. It’s an epidemic. I think being more open about living with mental illness can help decrease shame and stigma. Yet, so many people are not talking about it to their partners, family members, and friends. In my experience shame is mostly to blame. There is still incredibly powerful sense of shame and stigma related to mental illness that is nonexistent in other diseases, like diabetes. This shame is invisible and one of the first things we can do to eradicate it is to name it. Shame is a bully on the playground of the mind. We need to call it out when we see it and hold it accountable for its actions. How does shame become visible? You’ve seen it. It’s that awkward moment when you’re being introduced to someone new and they ask, “so what do you do?” In truth, chronic and severe mental illness has kept you from employment and so you haven’t brought home a paycheck since Obama was re-elected. It’s shame that keeps us from answering honestly. “I’m in between jobs.” It’s a small thing, but it’s also a terrible feeling to not be able to be authentic because of shame. Too much of our identity is wrapped up in what we do instead of who we are in the world. This value system is especially hard on people who live with disabilities that prevent them from being included in the workforce. Shame is the bully on the playground of the mind of professional religious leaders. As the spiritual teacher and guide for a community of faith, religious leaders have little room left in their day for dealing with personal wellbeing. This is the great irony of being a professional religious. You are “in charge” of everyone else’s spiritual health and yet your own is often lacking because you are responding so faithfully to the needs of others. This hyper-caregiving in a spiritual community often negatively impact the minister’s mental health. And it’s a great shame for the church to admit it. So it mostly goes unaddressed and ministers and their families suffer in silence. 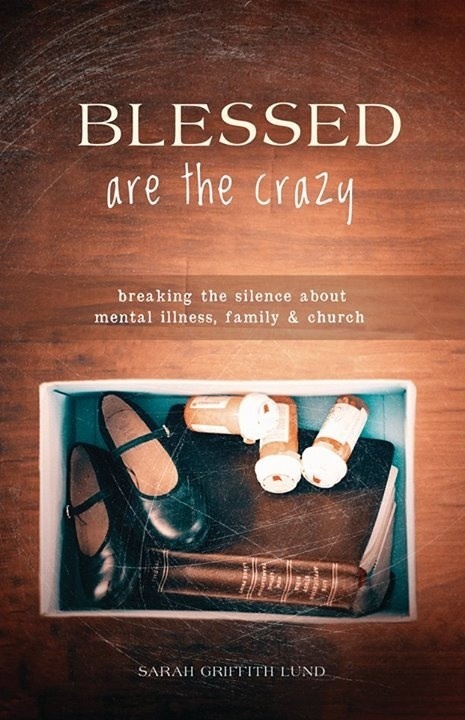 According to LifeWay research, 60 percent of ministers report personal experience with mental illness. Yet shame creates a barrier for wellness because often clergy are too ashamed to get treatment. The stigma for ministers facing mental health challenges is intensified by the mystique of perfection of the ordained class. It was years afterwards that I realized one of the church’s most faithful leaders was taking antidepressants. We never talked about it. But she and my husband saw the same doctor and got their medications at the same pharmacy. We would often walk past her in the parking lot, ducking our heads. What if we had been able to talk openly about this shared experience with mental illness? I think it would have made me a better pastor. Shame is the result of feeling that part of us is wrong or bad or not good enough. I dream of the day we will respect the dignity of all people who live with mental illness, celebrating their human goodness and not define them by their disease, disorder or disability. If we believe that we all are created in the image of God, then there is no shame in that, but goodness and life.